Home Unlabelled Hair Diary || What Will I Do Next? Hair Diary || What Will I Do Next? Throwback from last March (2012). 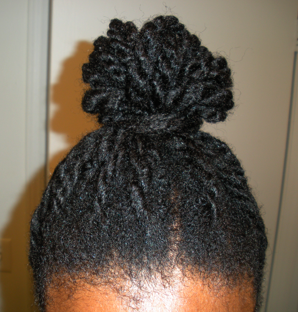 I put in a new set of twists a few days ago. 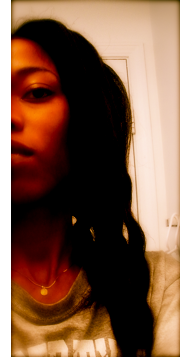 I call them "lazy" twists because they were done ... well lazily. They are bigger and frizzier than my usual set, but hey ... real life calls. In mid April, I plan to flat iron for the second time this year (I think it will be the second?). The question is what to do with my hair from now until then (approximately four weeks). I could leave these twists until then, and I just might. 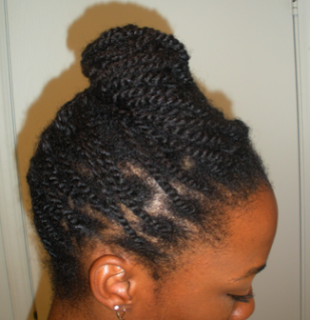 Another option is to wear this set for two weeks and a twist-out for the next two weeks. ... I will figure it out in due time. 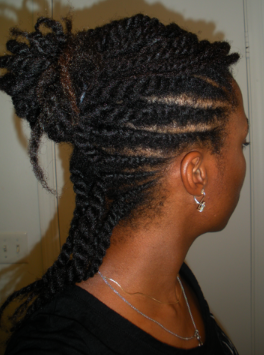 My current "lazy" twists for the next couple weeks or so. Small twists french-braided into an updo. They maybe lazy---but they're super cute.